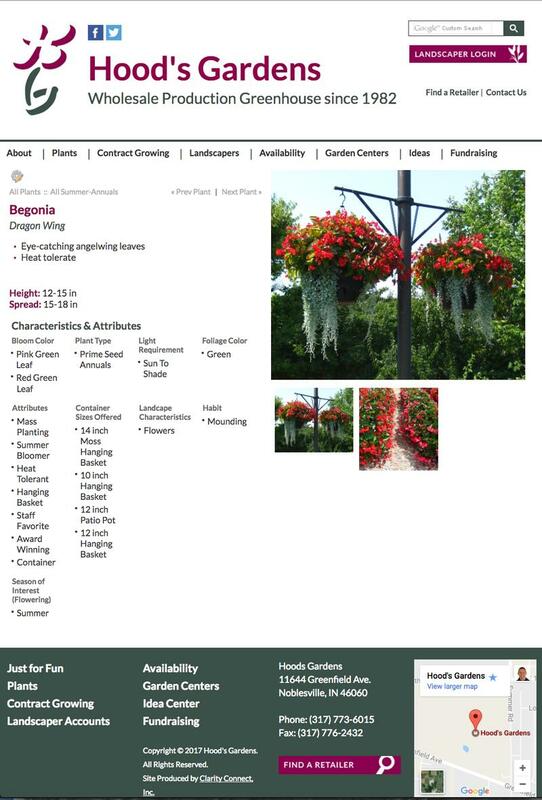 Hoods Gardens Plant Detail Page. 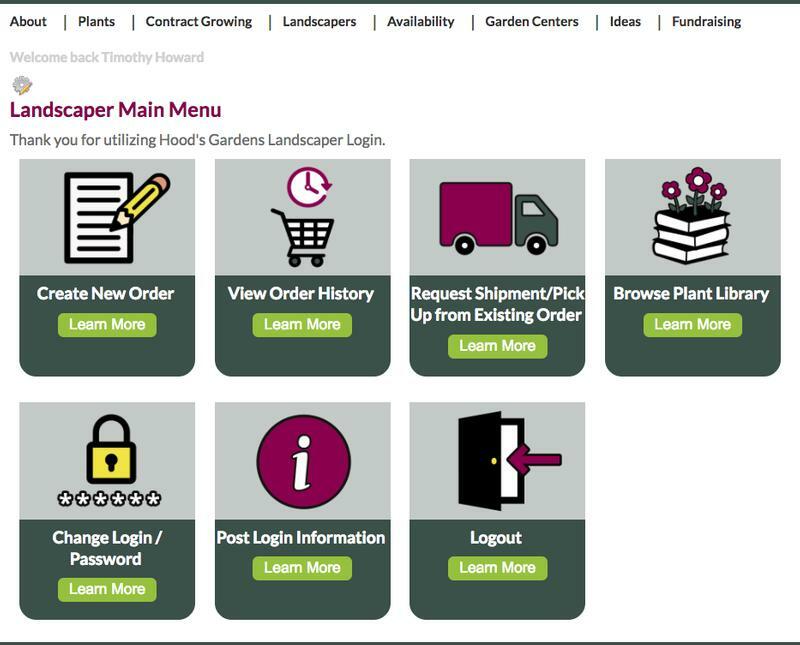 Post login, landscapers have options to place orders for current crops as well as place custom grow requests for future seasons. 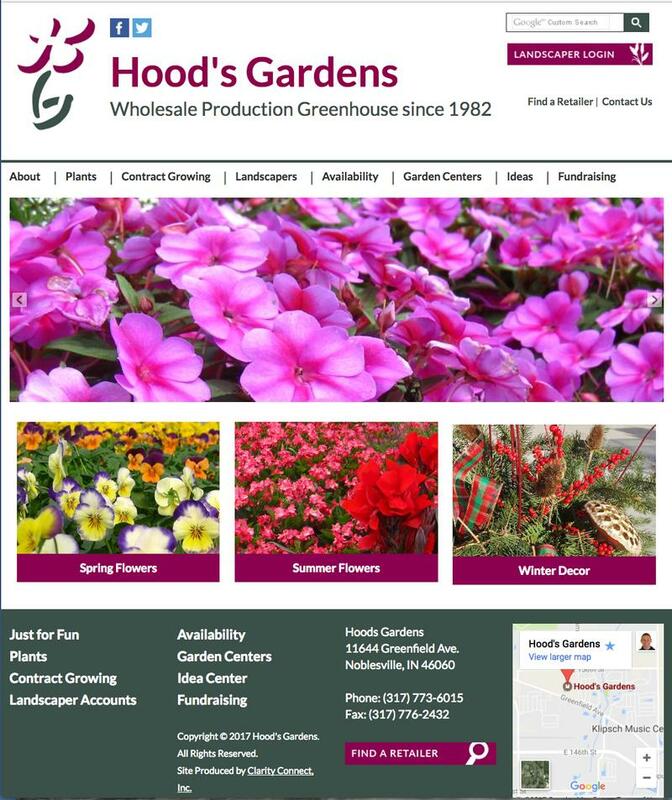 Hood’s Gardens, Inc. is a wholesale greenhouse growing annual flowers for the professional landscape market and independent garden centers.